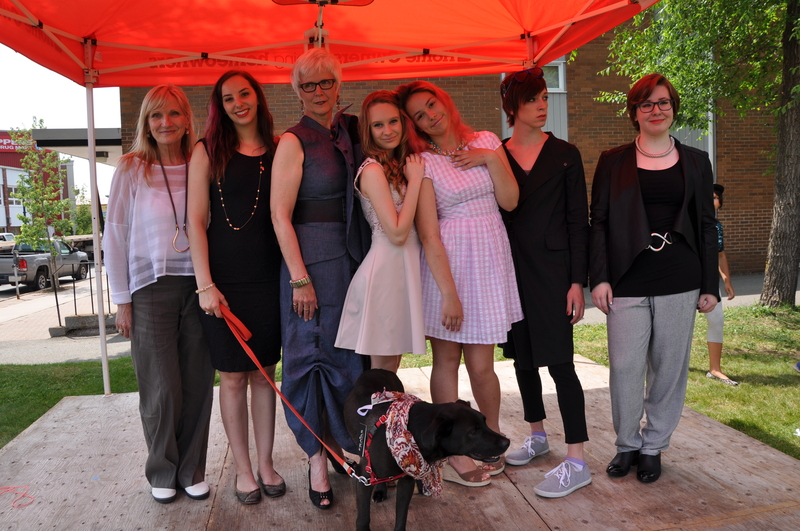 Our other fabulous models were Emmy Alcorn, Mary Connelly, Claudia Hunter Johnson and Kelly Woodington. Thanks to all of you for bringing our clothes to life! I took an opportunity to stroll the Main and included are some of the photos from the street. Have a look at the slide show of the great day we had! To control your viewing speed place your cursor on the bottom centre of the photo and click on one of the arrows.